Who speaks for those whose voices are silenced? One of our Mission & Service partners, Emmanuel Baptist Church, El Salvador, has been greatly influenced by the words and life of Óscar Romero. Archbishop Óscar Romero was a voice in El Salvador that was heard. He spoke of injustice, disappearances, death threats, torture, and massacres of entire communities. He said that if he were killed he would rise again in the people, and this has proven to be true. 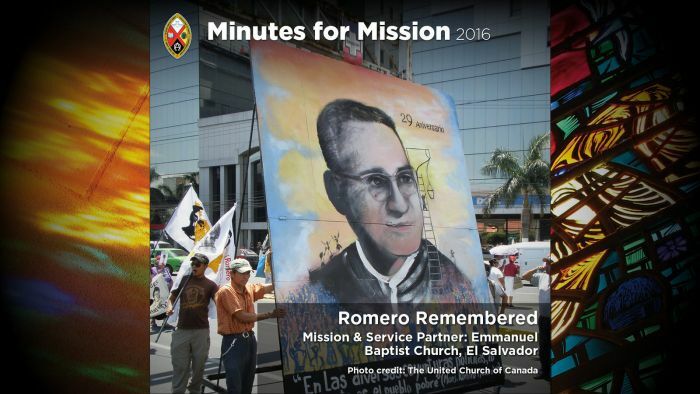 Assassinated in 1980, Romero was beatified in San Salvador as a martyr for his faith in May 2015. He continues to provide inspiration to justice seekers in El Salvador and around the world. Romero’s vision and voice can be seen today in the work of Emmanuel Baptist Church as it inspires the people of El Salvador to take charge of their destiny. Several communities in northern El Salvador are opposed to proposed mining operations around the River Lempa, which provides drinking water for about 70 percent of the country. These communities are challenging multinational mining companies, many of them Canadian, that have a record of causing pollution and environmental degradation. As Canadian citizens we can join communities in voicing their concerns and making decisions about the land they live on. Oscar Romero said, “The voice of the people must be listened to.” Let it be so. We are thankful that, through our Mission & Service gifts, our partners like Emmanuel Baptist Church can continue to provide inspiration to justice-seekers in El Salvador. Please join me in making Mission & Service giving a regular part of your life of faith. to share in love through our gifts for Mission & Service. The Truth and Reconciliation Commission held its ceremonial close in Ottawa, May 31–June 3, 2015. KAIROS Executive Director Jennifer Henry shared her reflections as she awaited the release of the Commission’s summary report and calls to action. On the eve of the release of the findings of the Truth and Reconciliation Commission, at the Human Rights Monument in Ottawa, 100 or so of us gathered in a circle of prayer. To the sung chant, “Listen, listen, listen to my heart’s song. I will never forget you. I will never forsake you,” everyone was invited to lay a stone in a gentle cairn on the steps of the monument. Remembering Jesus’ words, “If these [disciples] were silent, the stones would shout out” (Luke 19:40), every stone that was laid cried out the truth of every child who went to residential school, every parent left behind, and every child who did not make it home. The stones cried out the truth of the larger process of colonization that has left its devastating mark all around the world in inequities that continue today. 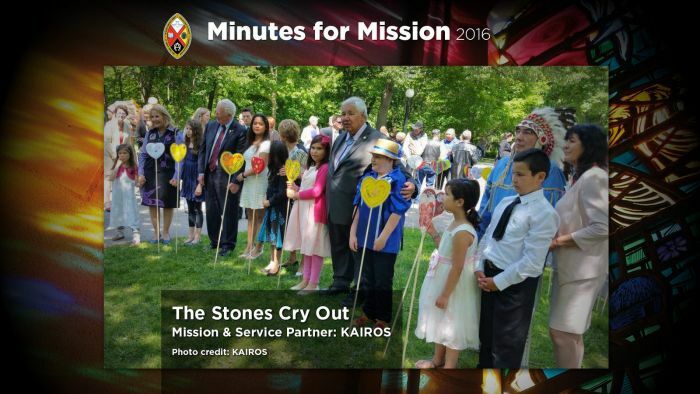 KAIROS invites Canadians to advocate for the Truth and Reconciliation Commission’s calls to action through the Winds of Change campaign. We believe in the Word made flesh—made flesh in love and justice, deep peace and reconciliation. May we continue to find our voices, inspired and accompanied by the truth of that living Word.